Alpha Epsilon Pi Zeta Tau chapter, is a social Jewish fraternity founded to provide opportunities for the Jewish college man seeking the best possible college and fraternity experience. We have maintained the integrity of our purpose by strengthening our ties to the Jewish community and serving as a link between high school and career. Many individuals come to campus with pre-conceived notions of what Greek life is like. Some people will say that they definitely want to join a fraternity, while others are sure that they are not going to join. 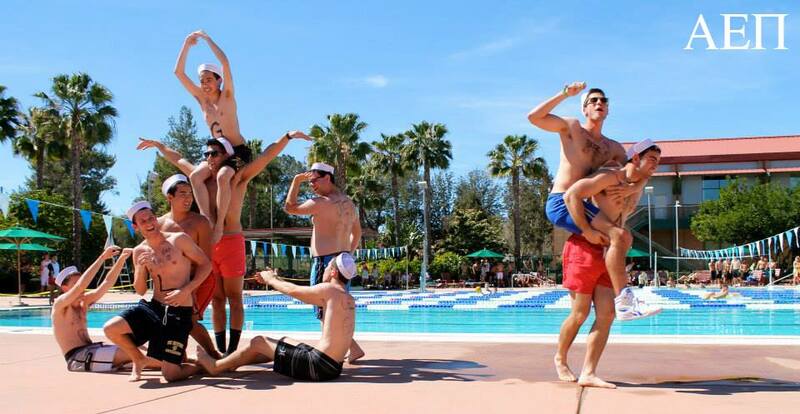 Despite these notions, fraternities have a lot to offer that many don’t even realize. Being a fraternity provides opportunities for social events, philanthropy opportunities, sports teams, and more. Being in a fraternity also provides you with a community within the larger community. You will have a connection with your brothers, and have opportunities to meet people from the other fraternities and sororities on campus. You have the potential to form lifelong friendships, and memories. You are also immediately put in contact with a network of alumni, giving you access to all sorts of opportunities in the business world. For the first two weeks of every quarter, Alpha Epsilon Pi holds a Rush in which we actively search for men who can add to the legacy that is AEPi. Rush is a time period in the beginning of each semester when everyone is welcome to come out to fun events to meet the brothers of our fraternity. It is an opportunity for you to get to know the brothers and for us to get to know you. Rushing a fraternity is not an obligation to join, but just an opportunity for you to come out and have a good time. Are you interested in becoming part of this legacy? If you would like to get more information on rush, please fill out the Rush sign-up form. Alpha Epsilon Pi is NOT a religious organization, but rather a social organization that connects thousands of Jewish men across the country. AEPi is the only predominantly Jewish fraternity that has maintained its ties to the Jewish Community. AEPi runs trips to Israel, promotes Jewish charities, and holds ties with organizations ranging from Hillel to March of the Living. Joining AEPi gives a connection with Jewish college students across America. We have over 130 chapters, totaling over 6,000 members, making us one of the top 5 largest fraternities in North America. While each chapter is certainly different, there is a common determination to build leaders for the future, and changing the world we live in today. Academics: In Alpha Epsilon Pi, we take our education VERY seriously. We are consistently ranked at the top of all Greek organizations in GPA. By joining this fraternity, you have the advantage of knowing someone in relatively every major. As friends and brothers, these people will be glad to both help you study and give you advice on how to ahcieve your academic goals. At no time will anyone be asked to sacrifice their grades for any chapter event, as your education is the #1 priority. A scholarship program exists to encourage friendly competition between brothers and other Greek organizations. All brothers of our chapter have to adhere to our scholarship guidelines and minimum GPA standards. Also, many of our brothers continue onto graduate, law and medical schools. 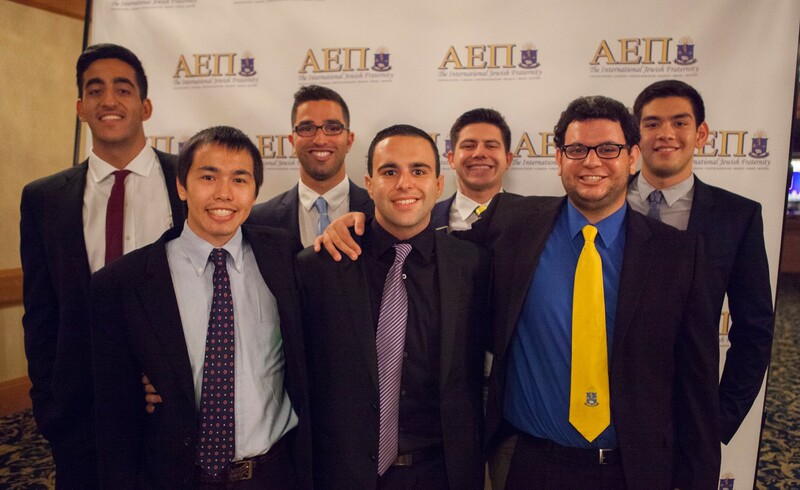 Brotherhood: AEPi has a lot to offer each of its members. The first and foremost reason to join is the exceptional brotherhood that will become a cornerstone of your life. In AEPi you will make loyal friends with whom you will share your college experience and form memories that will last a lifetime. We are a diverse group of men, yet we are all drawn together by similiar experiences and values, such as honor, loyalty, and integrity. These similarities along with the multitide of college experiences that we will share together, such as parties, philanthropies, athletics, etc, allow us to form lifelong bonds that we call Brotherhood. Leadership: A primary goal of Alpha Epsilon Pi is to turn our young men into leaders. The fraternity is a structured organization with many positions that require responsibility and leadership. Each brother that joins AEPi has been chosen with the hopes that they may contribute to the dominance and growth of the organization. They will find many opportunities to become leaders, take on responsilibity, and socialize with members of other Greek organizations. There are also many leadership opportunities beyond AEPi which our brothers take full advantage of, including the executive boards of the Interfraternity Council, Greek Awards, Songfest, ASUCI, and GPC. Networking: Joining a fraternity is a great advantage for your future. You will meet a diverse group of friends who are interested in the same career fields as you are. Older members can help you choose which classes to take, offer advice on graduate schools and admissions tests, and help you in the grad school application process. Also, there are many AEPi alumni (graduated brothers) who already have successful careers in a wide variety of fields. These alumni enjoy helping out fellow brothers and a break like this could make a huge difference in your future. Social: Alpha Epsilon Pi is a social organization. We provide a healthy outlet in which students can enjoy college while still getting excellent grades. While our social events never interfere with our educations, we always have a good time. As mentioned in our Social section of the website, we throw at least two big parties a quarter, have exchanges with sororities, hold two dances a year, and consistently have house parties and other great events. AEPi parties always generate a buzz around campus and always include a theme. Some of our more popular theme parties include Hooka Hump Night. Social life is an integral part of the fraternity. Alpha Epsilon Pi typically throws at least two parties each quarter, has at least two exchanges, and several house parties at various locations. Interested in coming to one of our events? Please contact our chapter’s Social Chairman. Parties. AEPi’s parties are usually held at clubs or bars and involve a special theme. We have several annual parties including our Boogie Nights, Billy Bob’s Bump n Grind, and Hefner’s House Party parties. Also, each quarter a new pledge class will throw a Pledge-Active party. These parties are well planned and attract a lot of people. Some past locations have included the Marriot hotel in Irvine, the Radisson hotel, and Hogue Barmichael’s. Exchanges. Every quarter AEPi holds an exchange with a sorority on campus. This is a party, dinner, or any other event where the brothers of AEPi hang out exclusively with the sisters of a particular sorority. Exchanges are great ways for the brothers to meet and interact with sisters of each sorority. Some of our annual exchanges include Broomball with Kappa Alpha Theta and Cinco De Mayo with Alpha Phi. Dances. Every winter quarter Alpha Epsilon Pi holds a semi-formal cocktail dance. Each brother invites a date and the Chapter heads to a location for a dinner and a night of dancing. It is easily one of the most exciting nights of the year. Not long ago we began the tradition of being bused to the dance location which makes the entire night much more fun as the entire brotherhood is able to party together with their dates. In each spring quarter we hold a formal dance at an upscale location. It is similar to the cocktail with the exception that the attire is much more formal, the food is much better, and the venue is much nicer. For the past three years we have held our annual formal in Las Vegas, Nevada. We have rented out ballrooms at Caesar’s Palace, the Monte Carlo, and the beautiful Belagio Hotel. These events proved to be some of the most memorable times in Zeta Tau history. Sports: Each quarter brothers of Alpha Epsilon Pi compete with other fraternities in several sports. The leagues are both competitive and fun. We enjoy playing as a team and giving our full effort in each competition.